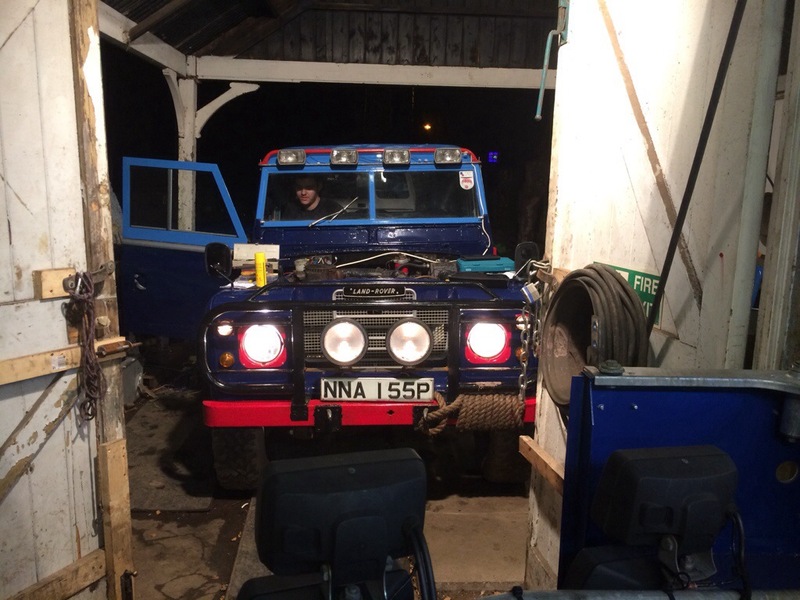 This week after taking the car out at night on empty roads we realised how bad the lighting is for driving, so decided that wiring additional lights was a priority. 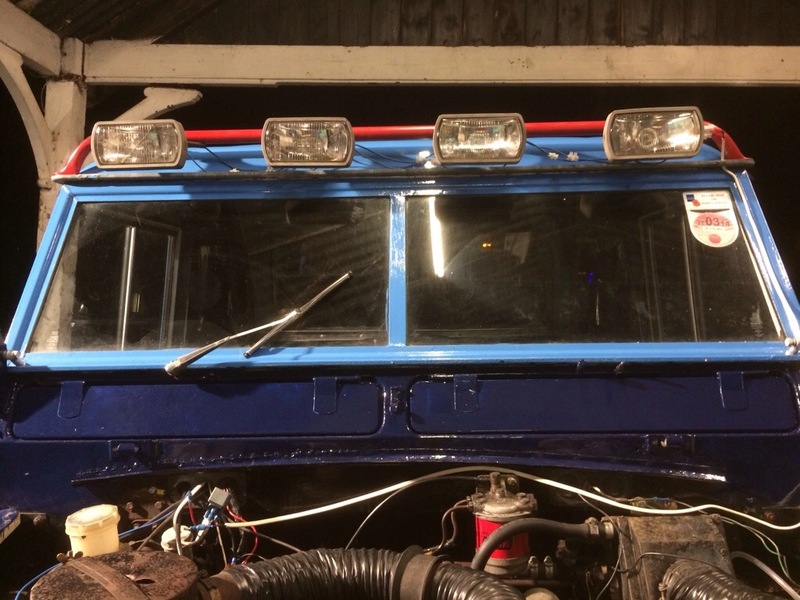 A light bar that had previously been fitted to car 2 was rubbed down and painted to match the colour scheme and bolted on the roof. 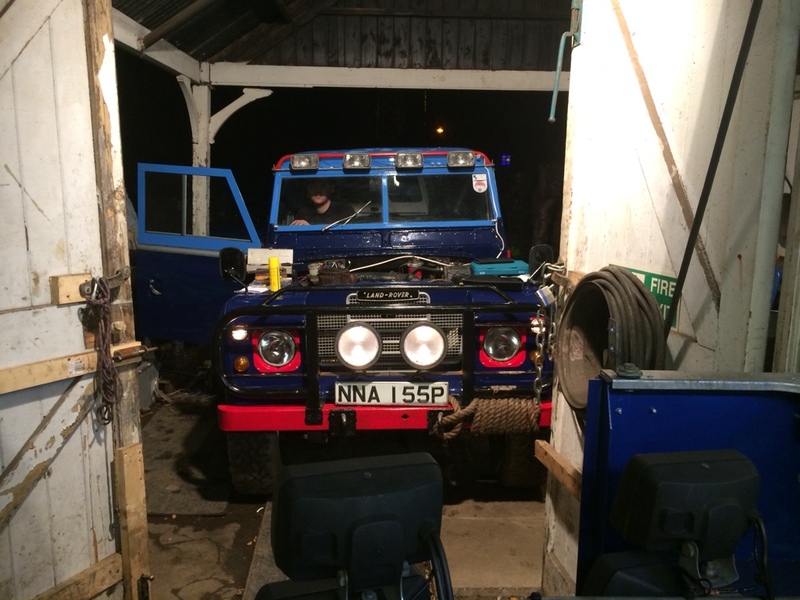 An afternoon of wiring later the lights were all wired up and working. 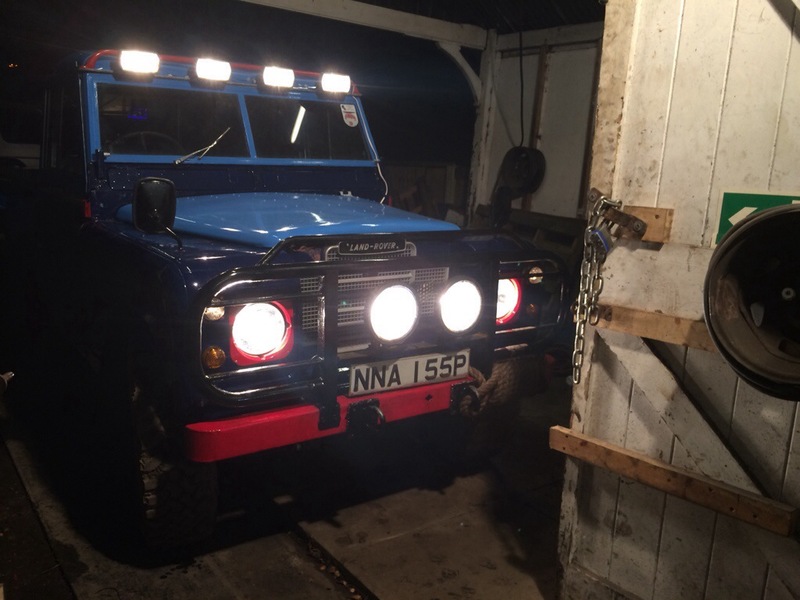 This should help when on empty roads at night. 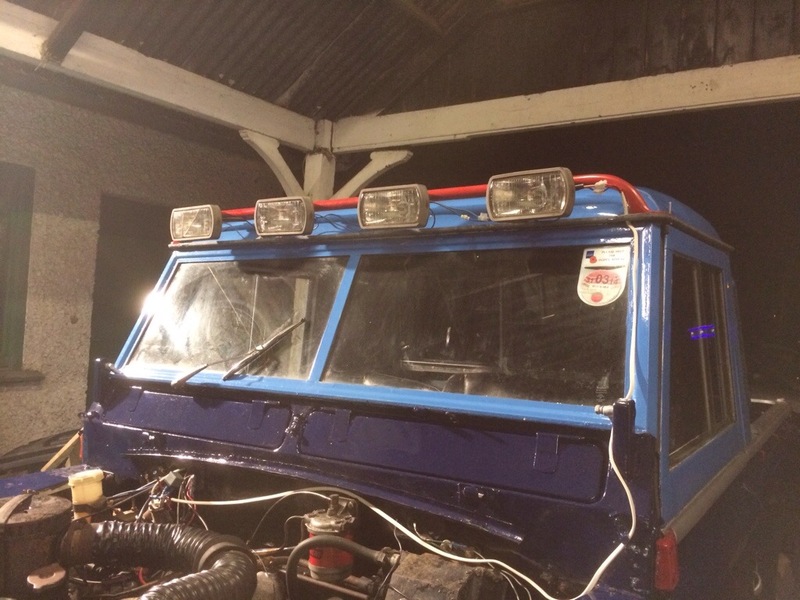 This entry was posted in Electrical and tagged 1977 Series 2, home made, Land Rover, lights, painting, Parts, Progress, Wirral on December 8, 2013 by landyrebuilds.